What is in this months #LFBEAUTYBOX ? I'd like to start writing about my monthly subscription to the Look Fantastic beauty box, so I might be a little behind this month, but it's going to be a new series for me and wouldn't want to miss one! These boxes offer a selection of handpicked beauty items, wrapped in a beautifully presented box- usually containing around six products that are a selection of skin care, hair care, and cosmetics. 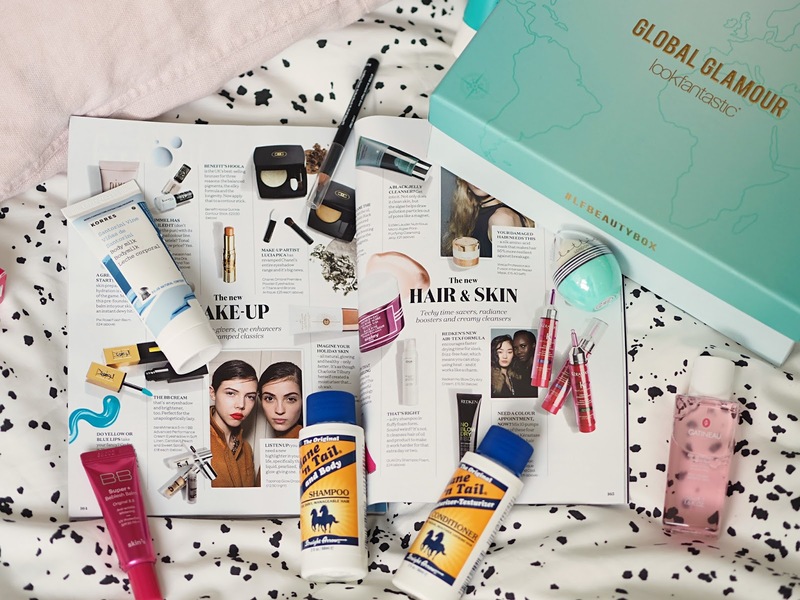 This month's 'Global Glamour' Look Fantastic beauty box is all about taking a journey around the world to discover some of the best kept beauty secrets from around the globe- from places like Korea to right here in the UK. 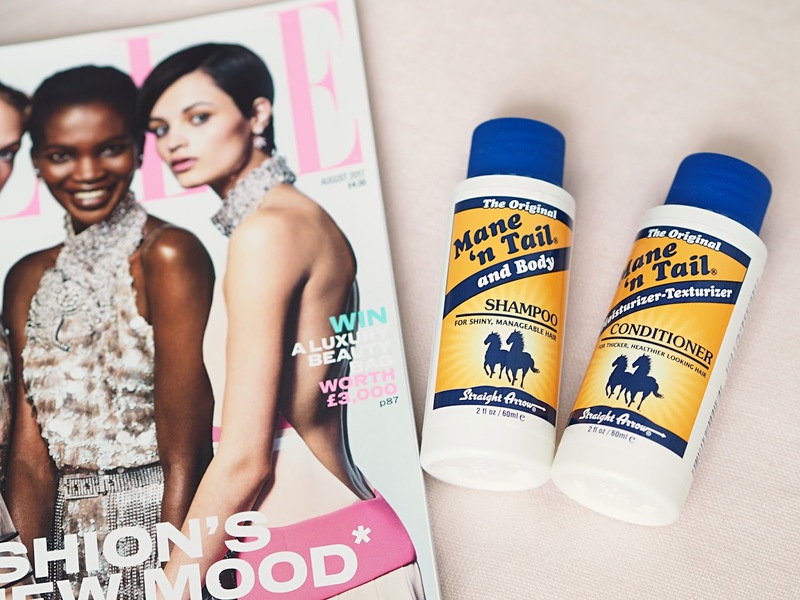 I've only recently subscribed to this monthly box, as I decided I wanted to discover more unusual products that not everyone is raving about (yet). Below is a little more detailed about the goodies that were in this month's handpicked box. I've seen a lot of promotion of this brand over social media, but never actually picked it up myself. It's an odd marketing plan for this US brand- originally designed for horses but now deemed suitable for humans! Anyway, the scent of these is pretty plain- nothing too strong, nothing too subtle. I'm excited to see if these really do provide the 'body and shine' everyone on Instagram is raving about! Next up is a Korean brand which is definitely new to me. This is a BB cream that according to the press release, harnesses powers of vitamin-rich Damask rose flower water and Acerola extract- which aims to absorb excess oil, combat dullness whilst also protecting against those harmful UV rays. I've had a quick google of this BB cream and the reviews are a resounding positive, so fingers crossed for this one! 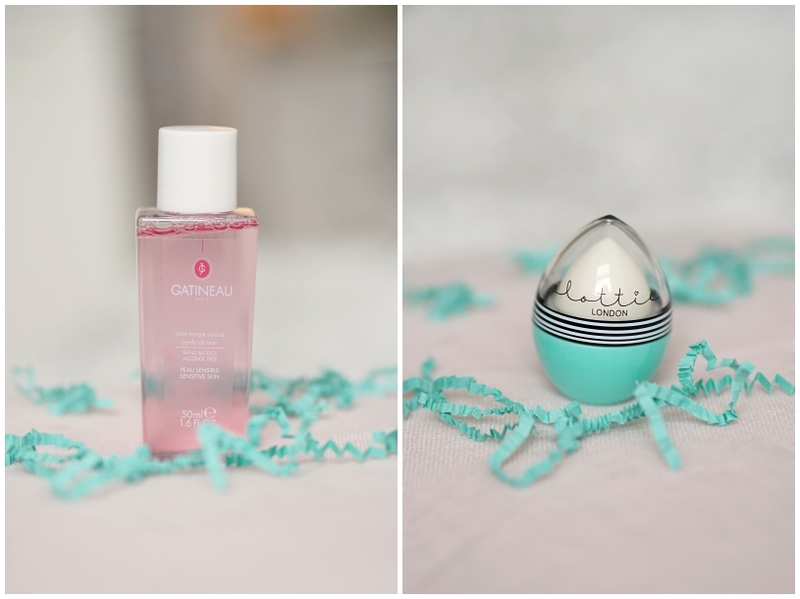 Korean cosmetics are all the rage at the moment, so there must be a reason for all the hype! 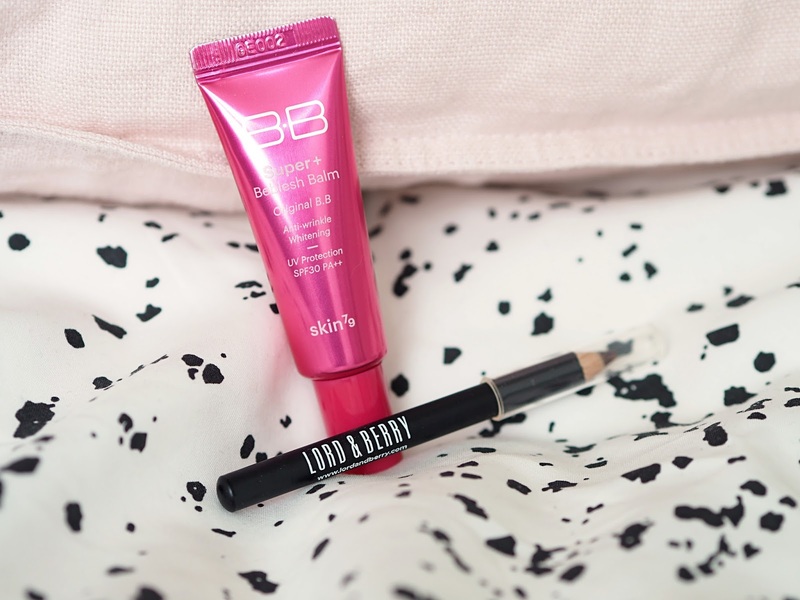 I'm a big fan of Lord & Berry makeup already having discovered it at one of the Blogosphere Magazine's cover reveals, and use their black khol eyeliner religiously every day (it has staying power like nothing else). I've yet to try this brow pencil as I have my perfect duo on the go at the moment which is a combination of a benefit powder, and Blink Brow Bar brow builder- but one day I will! This is one sample that I've used over and over again already, the body milk smells absolutely amazing. It is fresh, light, and sinks in really quickly which is always the defining factor for me and a moisturiser. Again, enriched with vitamins, this is a perfect little pick me up for your skin in the morning. This is a French brand, and the French definitely do skincare the right way, so I'm expecting good things of this little guy. This toner is to refresh, and clarify your complexion without drying it out, and is suitable even for sensitive skin (alcohol-free). Lastly, we're back in London to this cute and deliciously scented lip balm. A unique packaging style, but it does work! The Look Fantastic Beauty Box is the perfect treat to try a range of beauty brands, without buying the full size. I paid £13 for my subscription which I feel is totally reasonable and a guilt-free way to trial beauty products. Also, a free Elle Magazine- what a lovely bonus! If interested, you can subscribe yourself here! Are you subscribed to any beauty boxes? I would like to try some others like Birchbox- any recommendations? I would love to hear!